No this exhibition is not inspired around squash as in the sport, or as in the Robinson’s fruit juice, but rather squash as in the vegetable. Quite frankly it is bonkers, quirky and hypnotic. But that is the beauty about art, you do not necessarily have to understand it to enjoy it. It can also be observed alone or as part of a group, or both. This exhibition is a continuous 6-month performance so it is safe to say that you have plenty of time to decide! 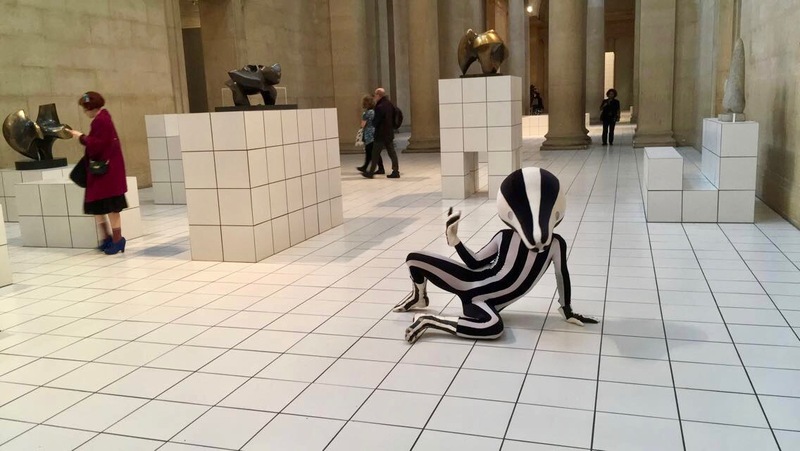 The Squash exhibition involves a solo performer dressed in a squash-like costume, complete with a squash head piece, moving around the Duveen Galleries of the Tate. The length of the galleries’ terrazzo floor has been redecorated with over 7,000 pristine white tiles (think clinical) to contrast from the neoclassical architecture of the Tate’s walls and columns. The result is a new environment or should I say ‘stage’ for each squash performer to christen. The large spacious room is minimally designed to leave lots of space for the performer to move and occupy. 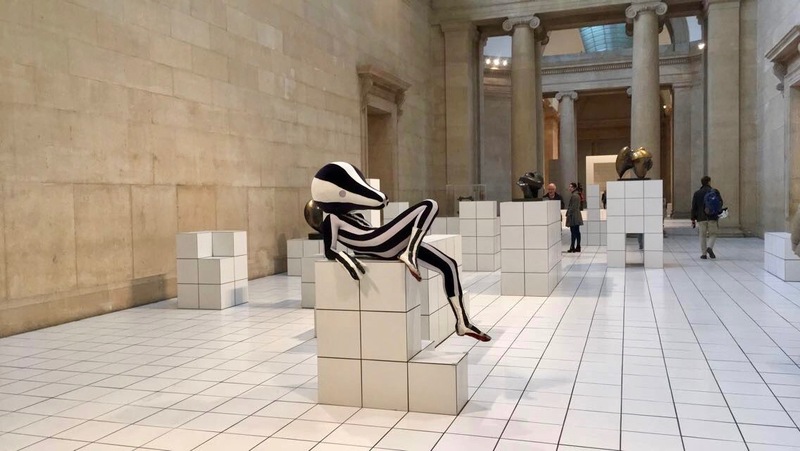 However, different shaped podiums of cubes are erected at different points of the room, upon which several traditional metal and stone statues can be found. The rest are left unoccupied so that the performer can use the different podiums as props to incorporate within their live bodily performance. 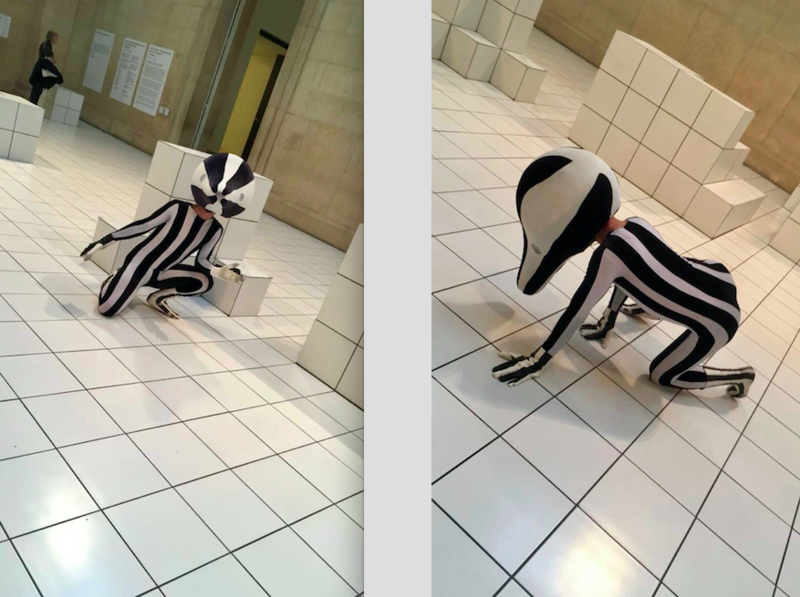 In the small time I stood transfixed watching the performer, they had moved from a stationary sitting position (I thought it was a real statue when I first entered the room so you can imagine my shock when it started moving) to walking and then finally crawling towards me. You feel like you are in a fantasy world as you watch the artist writhe and contort their body in an array of unorthodox and unconventional positions yet you cannot help but stare. In fact, the more the performer moves, the more your own feet feel like they are fixed to the ground and your body feels like it is in a trance. Anticipation slowly builds as you cannot predict the performers next move but are made to watch passively. The live and immersive exhibition was unlike anything I had ever experienced before and I would definitely urge people to visit and judge for themselves. The longer you spend there you find yourself mimicking the performer and changing position as they do so as to not lose out on the best viewing angle. It is even worth taking a step back and observing the other visitors watching the exhibition to register their reactions and see if they are experiencing the same whirlwind of emotions that you are. I mean it is not everyday that you see a gyrating squash! 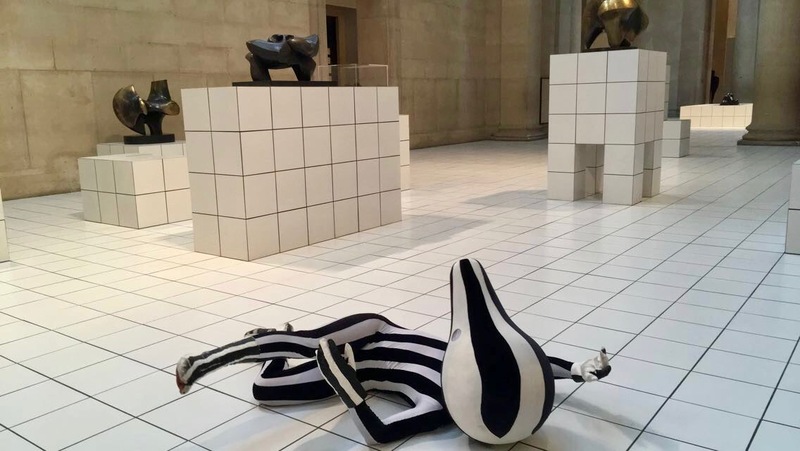 The exhibition is the work of London born and based Anthea Hamilton who works across sculpture, installation and performance. Her interest in how people read and respond to images led to the creation of her latest project. The Squash evolved from her interest in a photograph she once found in a book of a person clothed as a vegetable lying among vines. Seven costumes have been designed in collaboration with Creative Director Jonathan Anderson at the fashion house LOEWE, that incorporate the colours and shapes of various squash or pumpkin varieties. 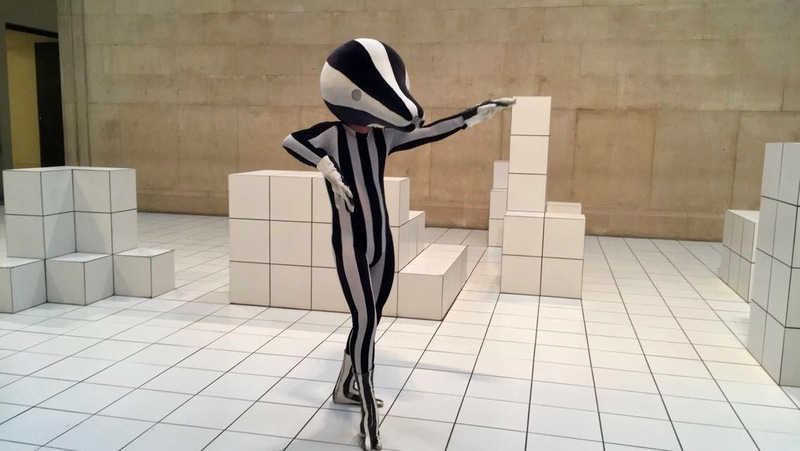 Performers are given the freedom to select their own costume each day and to then form their own personal response based on the structures, sculptures and costumes that they inhabit. Hamilton is known for her bold and often humorous works and The Squash fulfils these criteria. So descriptive sounds temptingly different and I am sure the viewers perceptions would change depending upon the time of day they went along – hungry? Thirsty ? Tipsy ?